Waterfall Asset Management, LLC is an SEC-registered institutional asset manager focused on structured credit (asset-backed securities and loans) and private equity investments. Waterfall was founded in 2005 by Tom Capasse and Jack Ross, two individuals who helped establish the ABS industry, and who share 60+ combined years of proven ABS/Loan trading, banking and servicing leadership experience. Capasse and Ross started the ABS Group at Merrill Lynch in the 1980s and conducted the first ABS issuances for many of the more than 40 ABS sectors in which Waterfall currently invests, including Small Balance Commercial Loans. With $8 billion in assets under management (estimated as of 2/1/2019), Waterfall is noted for its relative value approach to investment. Leveraging the extensive experience of its founding partners and expert portfolio managers, the firm sources, analyzes, and purchases non-traditional investments in an effort to seek an attractive risk/return profile. By focusing on specialized "off the run" investments, Waterfall seeks to provide its clients with attractive, competitive returns that are uncorrelated to most traditional investment sectors. Waterfall Asset Management's headquarter offices are located in New York City. 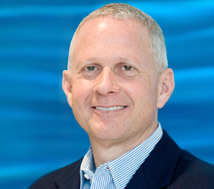 Tom Capasse is a managing partner and co-founder of Waterfall Asset Management. Mr. Capasse has over 30 years of structured credit experience globally, having founded, with Jack Ross, Merrill Lynch’s industry-leading ABS Group in the 1980s where they completed many first-time ABS issues and purchased non-performing loans from the Resolution Trust Corporation. Mr. Capasse subsequently managed structured credit Banking & Trading groups at Greenwich Capital, Nomura Securities, and Macquarie Securities. Mr. Capasse began his career as a Fixed Income Analyst at Dean Witter and Bank of Boston and received a B.A. from Bowdoin College in 1979. 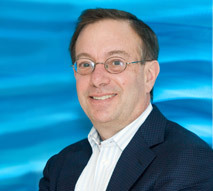 Jack Ross is a managing partner and co-founder of Waterfall Asset Management. Mr. Ross has over 30 years of ABS and structured credit experience, having completed some of the earliest ABS issues at Drexel Burnham Lambert and co-founded Merrill Lynch’s ABS Group with Tom Capasse. Mr. Ross subsequently managed International Real Estate Debt at Merrill Lynch and founded Licent Capital, a specialty broker/dealer for intellectual property securitization. Mr. Ross began his career as a CPA with Laventhol & Horwath and received a B.S. from the University of Buffalo in 1978 and his MBA from The Wharton School at the University of Pennsylvania in 1984.